This blog was created to be my online diary as my way to keep a running account of my personal life since motherhood year 1 up to present. Keeping this enables me to share my journey as well as different topics, new finds, and know-hows. Now it become my duty to share things i experience, be it a store discounted offer, product recommendation, health issues, or any topic i found interesting and useful to my readers. I'm glad that it authorized me to be a news breaker and become a contributor to essential information catering not only to mothers; but also to people who need details on any topic i came to know. This time, as participant in blog marketing services (again! 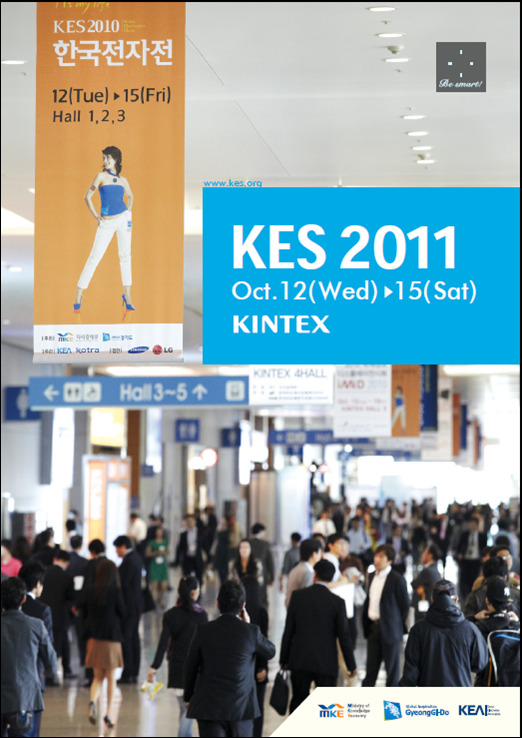 ), i am encouraging readers to join and be amazed on product exhibition at the Korea's biggest electronics show 2011 happening at KINTEX, Gyeonggi-do, Korea. visit http://www.kes.org/ for more details. The show will display all the latest cutting edge technologies-from components to finished products. Everything from Multimedia Devices, to Information and Communication Technology, to Digital Broadcasting Equipment, Home Appliances, Semiconoductors, Displays, and more! The Korea Electronics Show is here to provide investment advice and give information on the latest market trends based on knowledge of the established value chain of design, content, and distribution. Its the 42nd KES show since 1969. I haven't participated in any ICT display here in our country, but as part of IT team, i do know that its a great opportunity to witness the newest advancement and be amazed on the rapid system growth of all kinds of technology. I would love to see the newest appliances upgrades! and its nice for you to share your interest to everyone. :) good job bru!